Expired Products in the Warehouse? NOOO, the Producer Made a Mistake! You’ve got to love them! Yes, in order to work with our producers, you really really must love them. They do make fantastic products and they are wonderful people, but OMG, their admin, logistics, and marketing skills leave so much to be desired! One of Gustiamo’s most recurring problems is products with the wrong “Best Before Date” (BBD) on the labels. Most of our producers sell their foods only within Italy, some only in the markets in their little villages. They do not fully appreciate the big deal of having these problems when their products have crossed the ocean. You might say, that’s not a big deal, you have to weigh all the many other positive attributes of these products. True, but when that happens, it’s just a big headache for us. In the past, it has happened with the jams of Caffe’ Sicilia, the honeys of Liccu Manias, and others too. Yes it happens from time to time, but this time the problem is big. 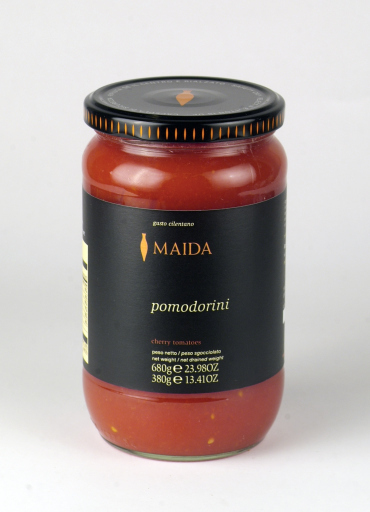 We just found many cases of Pomodorini by Maida with a BBD of September 2013 in the warehouse. We found them because a customer called and complained we sold “expired” tomatoes. I almost fell off my chair. Impossible, I said. No, possible, she said. So, I went to check; and yes, she is absolutely right. The labels of some Pomodorini in the warehouse say Sept 2013. But how is it possible? They came together with other Pomodorini whose BBD is September 2014. This big order of Pomodorini arrived together; why the 2 different BBD dates? Is it possible farmer Franco Vastola gave us some “old” and some “new” Pomodorini in the same shipment? We immediately called Franco. He is sooo mortified, I feel sorry for him. First, he said, when he shipped the Pomodorini to us, last fall, he didn’t have even 1 jar of the old stock. He said, ahhh now I remember, I printed the labels on the first jars without updating the date. When my son continued, he realized he needed to update the date. He did, but all the jars went in our (Maida’s) warehouse and we forgot the incident. 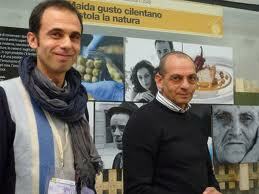 When the order from Gustiamo arrived, he said, we fulfilled it. Right labels together with the wrong labels. I totally believe Franco; he is a real, good, honest farmer. He agrees he needs help at managing admin procedures. Now, what do we do? Ohhh mamma mia, what a big headache. Resolution? Franco is sending us corrected labels. Hope nobody is offended. Next Post Just in from Cilento, Figs!